can be deactivated to enable operation of the press. 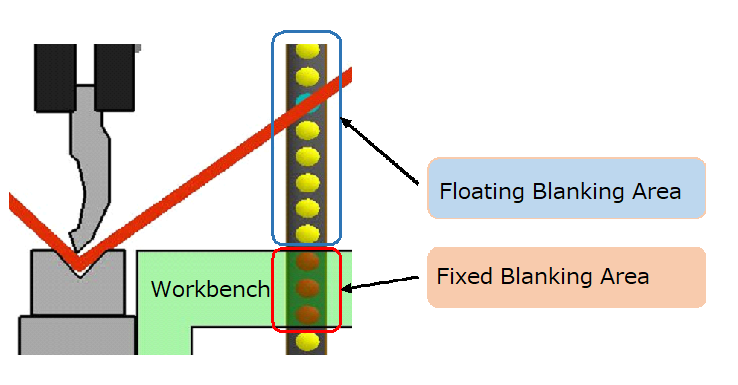 * A special controller is required to use the blanking functions. 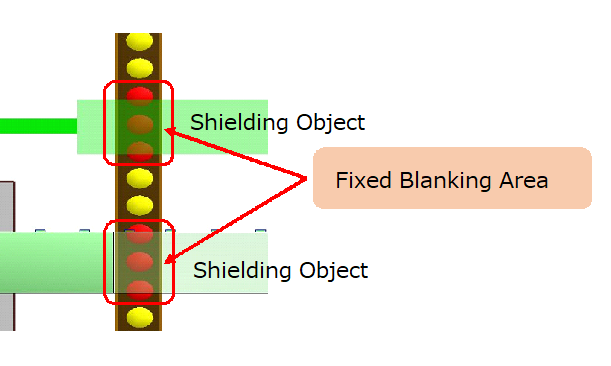 It is possible to move the monitoring area up to ± 1 optical axis above or below the fixed blanking setting area. 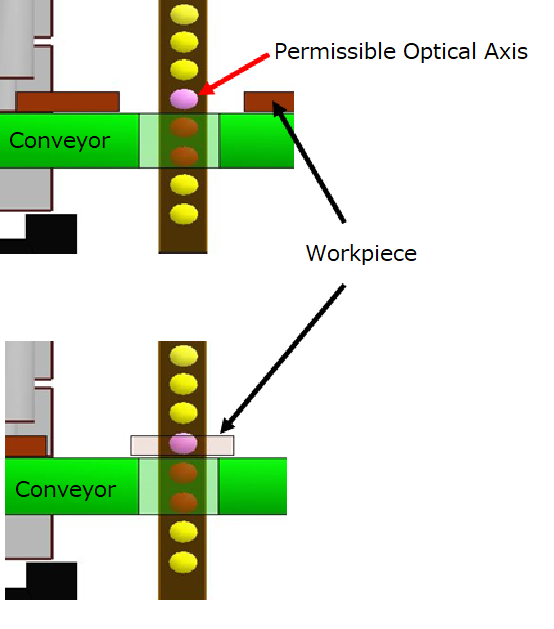 setting the corresponding area optical axes. It can correspond not only to fixed parts but also to movable parts. Here is the point ! The front panel of the Blanking dedicated control box shows the state of the sensor’s total optical axes. The LED display can grasp which part of the area is set blanking at a glance. Easy blanking is possible by using only the key switch in the dedicated control box. *Setting of mode can be easily changed by using the control box. Not affected by the interference in production, such as the followings. by two CPUs equipped in the receiver, and redundancy of the signal-processing circuit and output circuit. * Complies with international standard IEC61496-1/2 and North American standard UL61496-1/2. 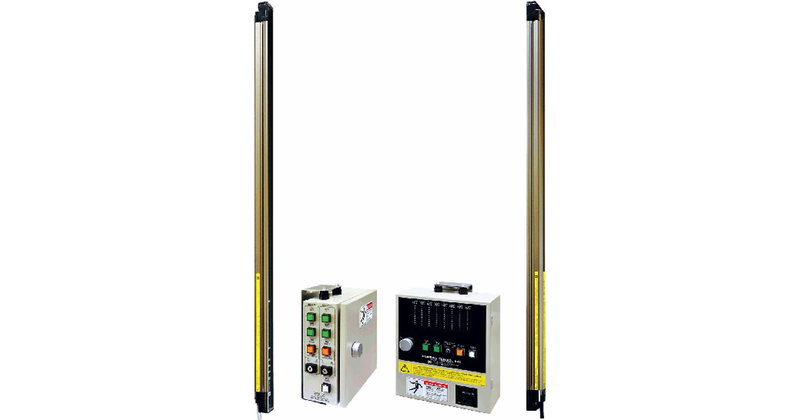 Select the optimal safety light curtain according to the installation environment, type of press and work content. The number of lit LEDs indicates the reception status, enabling simple alignment of beams. *Note that the necessary protective range varies according to the installation conditions. 1,000VAC（Sensor）, 1,500VAC（Control Box）, 50/60Hz,　1min.